what does every outdoor enthusiast need, besides a backpack, pants, quilt and a tent? Food! Good food for outdoor pursuits is something that packs a high calorie to weight ratio, but that ain’t everything - it also should taste good and give you the energy you need after a long day of climbing, trailrunning or skiing. 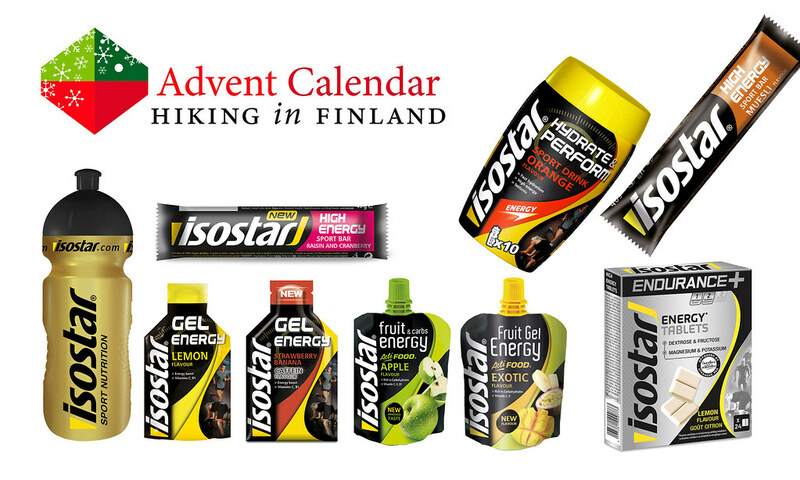 Isostar offers many different options to keep you powered outdoors, from Energy Bars and Gels to Sports and Protein Drinks. With a full set of these, as well as a bottle, one easily could run a marathon - or some nice long walks in the Finnish Fjells, which celebrate 100 years of Independence today! Disclaimer: Read The Tips & Rules. 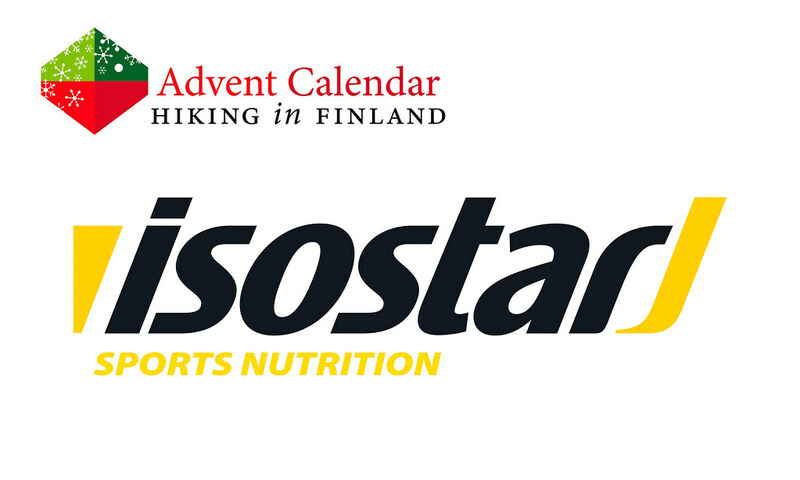 The prize is sponsored by VP Outdoor & Isostar and sent directly from them - it will only be shipped within Finland, though. This Advent Calendar Door has been supported financially and with gear from VP Outdoor. Are you now hungry? The check out How Does It Taste?